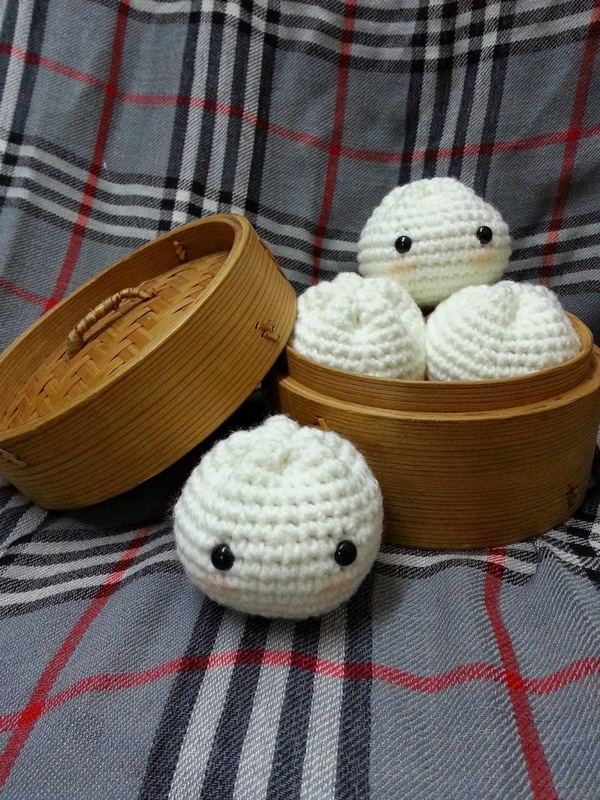 Chinese Traditional Bao - Cha Siew Bao（叉烧包）. One of the dim sum for 'Yam Cha' culture with family on Sunday morning. Gauge is not important – just keep a consistent tension throughout the entire project. *Insert the Plastic Safety Eyes between Round 8 & Round 9 and attach washers. Eyes should be about 6 sts apart. Round 17: Fasten off and leave a 6” tail for sewing. Sew the body shut.